Cardwell Reforms | Enough of this Tomfoolery! The second part of this response to Downton Historian’s post is about what sort of training someone like Lord Grantham would receive in order to become an army officer. While she’s correct that the aristocracy and military service have traditionally gone hand in hand, by Lord Grantham’s time (he would have then been Viscount Downton), the aftermath of the Crimean War and the Indian Mutiny where the British Army met disaster meant that reforms were sorely needed, and this included the necessity for and improvements in military training both for officers and the rank and file. 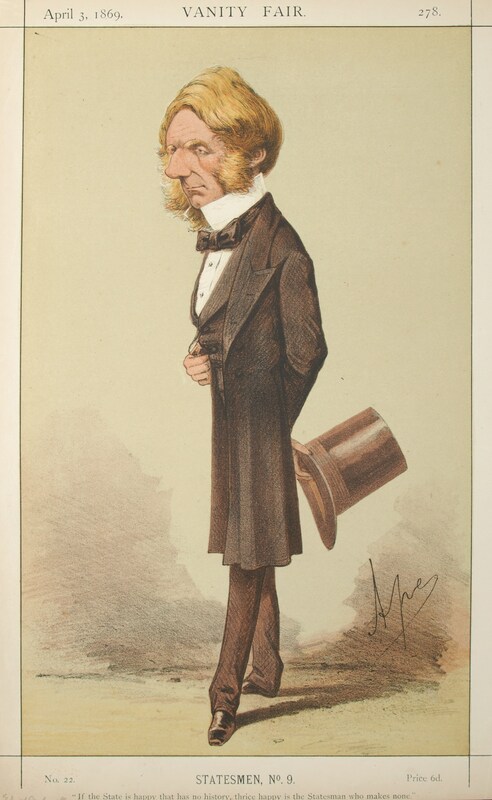 Chief among these reforms were those proposed and enacted during the tenure of Edward Cardwell (1813-1886) as Secretary of State for War under Prime Minister William Gladstone. These included shorter enlistment periods for men, army estimates in keeping with the Liberal party’s idea of retrenchment, amalgamating both the functions of Horse Guards and the War Office under the Secretary of State and controversially the abolition of purchase. However, while these were all implemented, the results were mixed. Cardwell himself had trouble having several of these reforms passed through Parliament owing to fierce opposition on both sides and especially from the Duke of Cambridge (who was the Queen’s cousin and commander-in-chief of the Army). Despite all this, the reforms remained in place despite attempts to reverse them and historians today agree that the Cardwell Reforms paved the way for more changes than were proposed and enacted over the next decades leading to the First World War. The dawn of the twentieth century resulted into more discussion about army reform especially in the light of military disaster during the Boer War (1899-1902). The war in South Africa also made Britain the subject of hostility abroad and left her vulnerable. As a result, Britain abandoned its old policy of “Splendid Isolation” and began to seek alliances with other countries as a way to achieve both security for the British Empire and stability on the Continent especially with Germany increasingly being seen as a threat. During this period, military and naval armaments and technology were being revolutionised. The launch of HMS Dreadnought in 1906 resulted into a new arms race between Britain and Germany which led (not without controversy) to the Royal Navy being allocated more funds to build more ships and remain at the forefront of innovation in shipbuilding and naval technology. What of the army during this time? Despite the perception that it was more a junior partner to the Royal Navy, there was the general consensus that the reforms enacted in the past had not gone far enough and more would be needed if Britain was to be able to cope with large scale modern warfare. 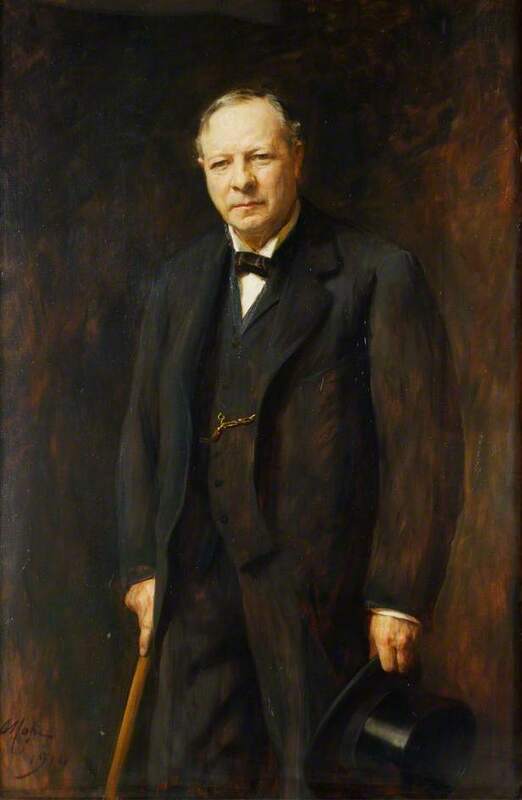 The return of the Liberal Party to power in 1905 under Sir Henry Campbell-Bannerman led to the appointment of Richard Haldane (1856-1928) as Secretary of State for War, and together with a group of reform minded generals he enacted reorganisations that would make Britain much more responsive to the needs of the changing nature of warfare. These included the creation of an expeditionary force that would be specially trained, prepared and mobilised, as well as the state taking over the railways in the event of a major war. In addition, the reserve forces were restructured and expanded with the Militia and Yeomanry merged in 1907 to create a new Territorial Force and in order to encourage the development of military skills, an Officer Training Corps were established in public schools and universities to boost officer numbers in the event of a war. There were also changes and restructuring into how military strategy was developed and the continued reforms of the regular army through new operational and training doctrines as devised by Major General (later Field Marshal) Douglas Haig. Some of the reforms were put to the test with the outbreak of the First World War when it came to the speed by which the British Expeditionary Force were mobilised and transported across the Channel to assist French and Belgian troops already fighting the Germans. The series of reforms enacted during the aftermath of the Crimean War and the Indian Mutiny also touched on recruitment and training. There were already two institutions in existence – the Royal Military Academy at Woolwich and the Royal Military College at Sandhurst that provided training for officers. Of the two, the RMA is older having been founded in 1741 while the RMC was established in 1800. Woolwich was the training ground for officers of the Royal Artillery and Royal Engineers while Sandhurst trained officers for the infantry and cavalry. Since Lord Grantham was an infantry officer (being in the Grenadier Guards) he would have received his training at Sandhurst, which was the main route to a commission for the Guards, cavalry, infantry and the Indian Army. Despite raising the admission age to 18 and attempts to reform the curriculum, the RMC was seen to have more feel of a public school than a professional institution; despite the purely military instruction it was found to be deficient with less than adequate provision for training of horse riding, shooting and musketry and digging trenches. The academic curriculum was also seen as inadequate, with not enough time spent on tactics and too much on topography (which was seen more as a sketching exercise) while the teaching of military history as well as languages was found wanting. The Sandhurst curriculum, while not perfect, at least provided a structured and reasonably extensive military education that could not be matched by the any of the alternatives. As a result of the over-representation of public school alumni at Sandhurst and among the officer class, it is not surprising that the officers of the British army were overwhelmingly drawn from the aristocracy and the gentry. In terms of the social composition of the army, the abolition of purchase did not mean a change in its makeup; those who comprised the army in the 1880s and 1890s would be no different from those in the 1850s and 1860s. The army was still characterised by officers from the upper classes with private income with the rank and file coming from both the urban and rural poor. Why was this the case? 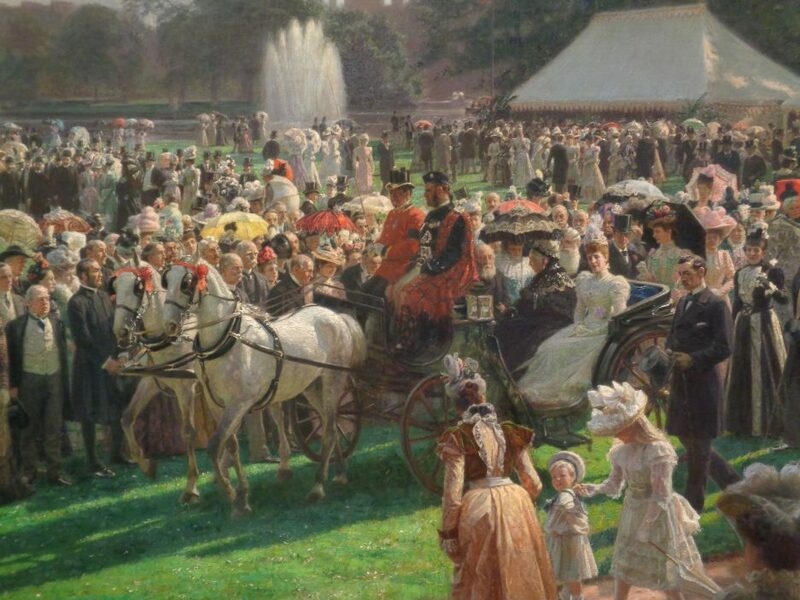 The upper class male was restricted in his choice of career, with the only avenues open to him the Church, law, politics, the Civil Service and the armed forces. The army could be seen as an attractive “stop gap” for some and a way to enjoy congenial companionship, travel, sport, excitement and leisure for a few years. Others however made the army their life and career, eventually rising through the ranks and distinguishing themselves as soldiers, commanders or administrators. In addition, to be in the army was to be low paid and necessitated the need for a substantial private income. The expenses alone were staggering – officers had to provide their own uniforms, cases, furniture, mufti, servants’ outfit and incoming mess contribution. Monies were also required for entertaining, dining out, sports, expensive wines, fine food, upkeep of the regimental mess (including the band, and silver as presents for occasions such as marriage, promotion, transfer, retirement. It’s likely that had Lord Grantham not married young to a wealthy wife he would have had to transfer into a cheaper and much less prestigious regiment than the Grenadiers). The Victorian public school system with its ethos continued to supply the cadets into the military academies which resulted into the general social homogeneity of the officer corps at least until the eve of the First World War. Were there any other alternatives? Yes they were but many of them would not have been available in the late 1880s and 1890s when Lord Downton was considering a career in the army. It was possible to obtain a commission into the army through the Militia, which would remove the need to sit for the examinations required to enter Sandhurst or Woolwich; but that avenue was more for those who failed the entrance exams and was very much seen as a way to enter the army through the “back door”. As for the universities, it is important to note that the Officer Training Corps (OTC) was only conceptualised in 1906 and implemented as part of the Haldane Reforms of 1908. The OTC was meant to provide officers for the regular army during war time and for the territorial forces during peacetime. Those who wanted to join the regular army made their way to Sandhurst after receiving their degree but suffered the disadvantage of being older and placed under the command of junior officers younger than they were. So this option would not have been available to Lord Downton and bearing in mind that he was the heir to an earldom, going to university would have highly unlikely to have been considered. That was the preserve of younger sons in order to equip them for a career. The Yeomanry would have highly been unlikely too given we’ve seen enough clues in the uniforms and medals that Lord Downton would have been in the regular army. If a man wanted a serious career in the army then going to Sandhurst or Woolwich was seen as highly desirable, given the training in the Militia and the OTC were not up to the standard offered by the RMA and RMC. Finally, as for simply “winging it” and “the only qualifications for receiving an officer title were having good manners and good character”, that was simply no longer adequate in the aftermath of the Crimean War, the Indian Mutiny and especially during the Wars of Unification (1864, 1866 and 1870-1). The Prussians had demonstrated how an efficient war machine comprised of well-trained officers and rank and file men can produce quick decisive victories and this didn’t escape the notice of those who had long campaigned for army reform. Professionalism was needed for Britain to have an army that could face any threat to its borders and its empire. Yes, the army expected its officers to be of good character but there were professional standards that needed to be met; and in an age where warfare was changing beyond recognition what mattered was attracting a better class of soldier and raising standards in recruitment, training, organisation, logistics and strategy in order to meet the challenges. I would like to thank Dr Max Jones (University of Manchester), Professor Gary Sheffield (University of Wolverhampton) and Dr Andrew Morton (Archivist, Sandhurst Collection) for taking time from their busy schedules to answer my questions and direct me to sources that I would have overlooked. C.B. Otley. ‘The Educational Background of British Army Officers’. Sociology 7 (1973), pp. 191-209.